It is that time - Fourth of July barbecues. Here are some easy to make recipes from Food & Wine just in time to make you a Rock Star and sure to be invited back for the Labor Day Bash! 1. In a large pot, cover the potatoes with cold salted water and bring to a boil over moderately high heat. Cook until the potatoes are tender, about 35 minutes. Drain the potatoes and, when they are cool enough to handle, slice them in half. 2. Meanwhile, in a medium skillet, cook the bacon slices over moderate heat until crisp, about 6 minutes. Drain on paper towels and coarsely crumble. 3. In a large bowl, mix the mayonnaise with the barbecue sauce, mustard oil and sherry vinegar. Fold the potatoes into the dressing while they are still warm. Let the potato salad stand, stirring a few times, until the potatoes have cooled and absorbed most of the dressing, about 20 minutes. 4. Add the celery, red onion, parsley and tarragon to the potatoes and season with salt and pepper. Let stand for an additional 20 minutes, stirring a few times. Garnish with the bacon and sprouts, then serve. Wolfgang Puck's Hot Dog Melts over 1,400 5 Star Reviews. Awesome! 1. Preheat the oven to 425 degrees. In a small bowl, combine the mayonnaise, sour cream, horseradish, mustard, honey, shallots, chives and lemon juice and season with salt and pepper. 2. Place a slice of cheese in the center of each splayed hot dog, breaking the slice if necessary to fit it in. Wrap a slice of bacon around each hot dog and secure it with toothpicks. 3. Arrange the hot dogs on a rimmed baking sheet and bake in the upper third of the oven until the bacon is crisp, about 12 minutes. Place each hot dog in a bun and serve, passing the horseradish sauce on the side. 12 thin slices of prosciutto (you can substitute any sliced ham. 1. Light a hardwood charcoal fire. Brush the asparagus with olive oil and season with salt and pepper. Grill the asparagus over moderately high heat, turning, until lightly charred and almost tender, 4 minutes. Transfer to a plate and let cool. 2. Meanwhile, in a small cast-iron skillet, heat the 1 tablespoon of olive oil. Add the bread crumbs and garlic and cook over moderately high heat, stirring, until the crumbs are golden and crisp, 4 minutes. Remove from the heat and let cool slightly, then stir in the Parmigiano-Reggiano, parsley and lemon zest; season with salt and pepper. 3. Divide the asparagus into 6 even piles. On a work surface, arrange the prosciutto slices in 6 pairs, overlapping slightly. Set an asparagus pile on each prosciutto pair and roll up. 4. Grill the bundles over moderately high heat, turning, until the asparagus are tender and the prosciutto is crisp, 4 minutes. Transfer to a platter. Sprinkle the lemony bread crumbs on top and serve. 1. Preheat the oven to 500 degrees. Line a large baking sheet with foil and spray with vegetable oil. In a bowl, mix the flour with the salt and Old Bay seasoning. Add the chicken and toss to coat. Spread the chicken on the baking sheet in a single layer and spray with vegetable oil. Roast the chicken for 45 minutes, turning once or twice, until browned and crispy. 2. In a bowl, toss the chicken wings with the hot sauce, butter and Worcestershire sauce; serve. Get ready to make the perfect chicken main dish or hors d'oeuvres for the finals of March Madness, opening baseball games or spring football. And remember all the tennis coming up or any evening meal - try this Red Wine BBQ recipe - we made several variations all great plus don't forget to add a merlot. Spare yourself the challenge of not reaching for that second cookie and just make one cookie that is so special it completely satisfies your craving. Preheat a toaster oven to 350°. In a small microwave-safe bowl, heat the butter until just softened, about 10 seconds. Using a fork, blend in both sugars, the vanilla and a pinch of salt. Blend in the flour, then stir in the chocolate chunks. Scoop the batter onto a parchment paper–lined toaster tray and sprinkle with salt. Bake for 13 to 15 minutes, until lightly browned. Let cool slightly before serving. 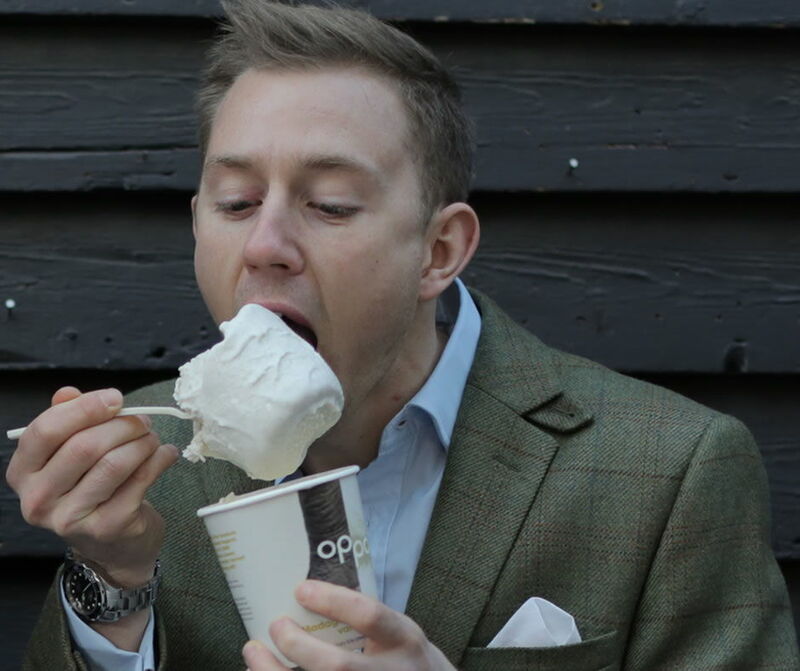 When the ice cream tastes this good, is healthy and a huge portion has less than 100 calories – that’s pretty awesome and we can now all scream for Oppo ice cream. How so? Here's the deal — by substituting cream and sugar, the not so good for us stuff, with healthy super-foods —yet still keeping that awesome ice cream texture and taste, magic happened. As two brothers, Charlie and Harry Thuillier, went on an expedition adventure to wind buggy up the coast of Brazil, they ran out of supplies, namely food, so they started eating coconuts and other wild fruits. This sparked a love for using naturally good ingredients and a mission to make the most indulgent foods healthy. So Oppo was born. 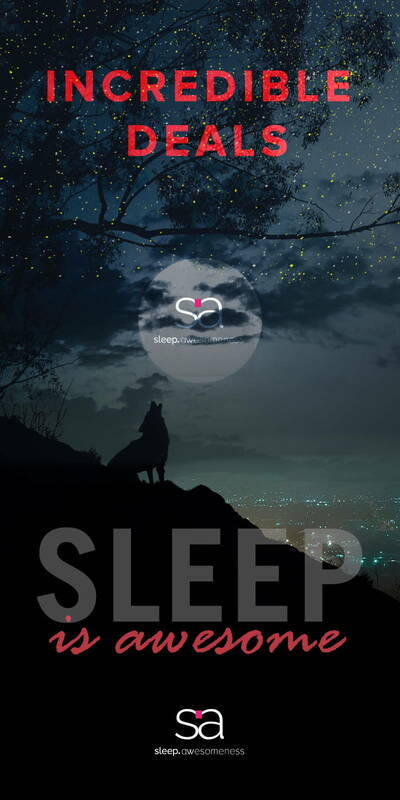 Oppo raised over £300,000 and closed its crowdfunding campaign just days after it started. People seem to really like the idea of indulgent, guilt free ice cream! Hey with less calories than an apple. Oppo is now on sale in hundreds of independent and chain UK grocery stores like Whole Foods, and Waitrose. We can’t wait til Oppo hits the USA. In the meantime, we noticed that just like FIN, Oppo has only the stuff inside. Now he has British cousins! Oppo won the Start-Up Of The Year in the Guardian Business Awards for 2014. Oppo was selected by Virgin featuring Oppo on the front page of their brand new app, Virgin Red. Virgin Red is all about living a life more Virgin, getting access to the most exciting products, innovations and experiences while helping everyone be a bit more adventurous. So What are these superfoods? Each flavor has a super-boost from different super food like baobab, Lucuma, or Spirulina. Peruvian lucuma is nature’s caramel, loaded with antioxidants and vitamins. Latte Art goes hi-tech — a Morning Conversation Starter, n'est-ce pas? Since WHATSINTODAY is all about starting great conversations we thought this coffee art option was cool to know about. The Ripple Maker customizes coffee with high quality art images in just a few seconds. Milk froth is your canvas. Coffee extract is the medium. The Ripple Maker combines hardware & software with a SaaS platform to produce high-resolution designs and messages that can be up-loaded and shared. Ripples are made of tiny coffee bean drops without any affect to the quality and flavor of your coffee. The Video below says it all. Enjoy Coffee Latte Art. The Ripples mission is to add meaning, depth and joy to the coffee experience, cup by cup. Ripples is taking latte art to a whole new level. The really fun part is you can upload your own photos to the app and get custom images. The machines began shipping in October, 2015 with a price tag of $999, includes service plans of $75 per month (including Ripple Pods, service and warranties), the app is free to customers. Initially The Ripple Maker is intended as a B2B product targeted at coffee shops, hotels and such. Lufthansa will be its first global partner. The Germany-based airline will serve its first and business-class passengers drinks made using the Ripple Maker this year, adding another personal touch to it's service. First personalized marshmallows, [read our article featuring, boomf.com] now coffee – What’s Next? - we'll be sure to let you know. 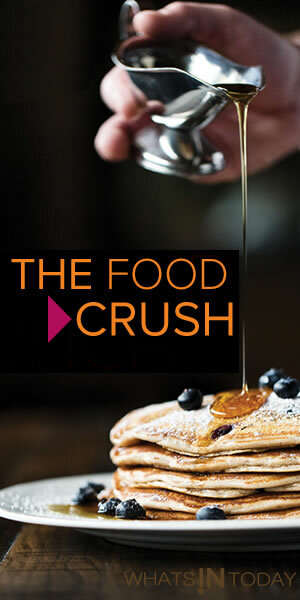 Food Crush or Boozy — that is the question. Prohibition Bakery seems to fall into both — to read more about them follow this link to Boozy Cupcakes from Prohibition Bakery under boozy. Prohibition Bakery founders Brooke Siem and Leslie Feinberg will be releasing their first book on October 6, 2015! The Prohibition Bakery Cookbook is already up for pre-order on Amazon and will be out in time to make perfect holiday gifts. As reminder they make bite-sized, party-ready, alcohol-infused mini-cupcakes. mixologist, Leslie Feinberg and chef, Brooke Siem created a boozy themed NYC bakeshop - specializing in booze-spiked, cocktail-flavored artisan cupcakes. A Port in the Storm cupcake by prohibition bakery, gourmet mini cupcakes with the perfect boozy. food-crush blend. 4. Combine beer and butter in a small saucepan, heat until butter melts. Remove from heat and whisk in cocoa powder. 5. While mixer is running, slowly pour in hot cocoa/butter mixture. Mix until fluffy and incorporated. 7. Fill lined cupcake tins 2/3 with batter. Bake for 10 minutes and let cool on a rack. 1.Simmer cream over medium heat until just bubbling. Take care not to boil over. 2. Meanwhile, chop the milk chocolate into chunks and transfer into a bowl. 3. When cream is heated pour over room temperature chocolate. 4. Let chocolate and cream mixture sit for a minute or so, then whisk. When smooth, add the butter. Ganache should be glossy. 5. While whisking, stream in port until incorporated. Transfer to a squeeze bottle. 3. Slowly stream in espresso and beat until smooth. 4. Stir in espresso powder and transfer to a piping bag. 2. Fill the cupcakes with the port ganache, using a squeeze bottle. Prohibition Bakery's motto is "please eat responsibly." Cheers! If you don't have the time to whip up these treats yourself, don't worry—Prohibition Bakery is located on New York City's Lower East Side, and also ships its bite-sized boozy cupcakes nationally. Yeah! Ratio is currently taking orders in four colors. a powerful 1600 watt heating element. One button. Three phases. From grind to cup. Ratio is smarter than your average coffee maker. Beneath the exterior is precise brewing science, automated. Ratio is equipped with a powerful heating element. Hot water poured over fresh roasted coffee causes a bubbly interaction called a "bloom." The control board of Ratio applies a bloom cycle that allows the bloom to settle down before delivering the rest of the hot water. The result? More evenly extracted grounds and a more amazing cup of coffee. 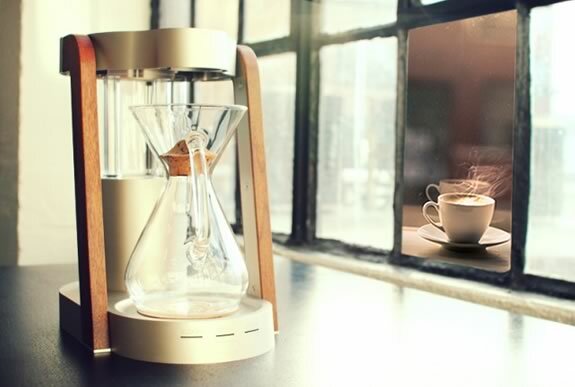 Sensors automatically determine the optimal brewing time based on the water level. Ratio keeps the water near 200°F —the ideal coffee temperature. While brewing, the Ratio shower-head uniformly pours over the grounds. When finished, the soft white LED lights will indicate that it’s time to enjoy your coffee. Beneath the exterior is precise brewing science, automated. Ratio is equipped with a powerful heating element. Where lesser machines struggle to maintain the optimum temperature - brewing either too hot or too cold - Ratio consistently delivers water at the ideal temperature of 200°F. Ratio wanted to add precision to the brewing without being overly complex to use yet still brew great coffee. So it doesn’t use a pump, or a PID, or a temp control device …just a one touch button that brews coffee at the right temperature and time. Inspired by the precision of manual brewing with pourover kettles, Ratio uses a unique shower-head design to uniformly saturate the coffee grounds. This means a more complex-better cup of coffee for you — without having to think or remember about how to do so. People who really enjoy a great cup of coffee without complexity and love designed high quality products. — This is the best, easiest to make coffee I have had, period. — Received this beautiful machine and not only is it a work of art, it makes the best coffee I have ever had! Worth the wait! in a french press. It’s an amazing flavor profile. Not only is Kelly fantastic to watch on Saltedtv – Her videos are fun, light, entertaining and inspire you to cook healthy. A must watch video is her one on spiralizing vegetables to make zucchini pasta commonly now referred to as "zoodles". Founder and Executive Chef of Paleta, the wildly popular farm-to-table meal delivery service that is committed to locally sourced and humanely raised ingredients. Started in 2005, Paleta Initially conceived to bring healthy, delicious options to her clients in their homes and has been thriving ever since, expanding to include cold-pressed juices, cleanses, and snacks. Numerous celebrities who have expressed their fandom, include; Jessica Biel, Jaime King, Scott Wolf, and Wayne Brady. An advocate of farm-to-table eating, she incorporates fresh local produce in her meal plans every day. A graduate of Le Cordon Bleu culinary arts program, Kelly decided that the French cuisine she so loved to cook could be healthier and changed it up a bit in developing the menus for Paleta. She believes that her toxic-food free diet has been the key to her good health. A Carb-Free alternative to traditional pasta – "Zoodles"
We think Saltedtv.com is that good - we got you an awesome special offer! Salumist, Elias Cairo, grew up first generation Greek-American, with a father who made charcuterie at home. For five years in Switzerland under master chef Annegret Schlumpf, Cairo completed a chef apprenticeship developing his skills and passion for making charcuterie utilizing the finest ingredients. The experience affirmed his beliefs – handmade is better. Back in Portland, Oregon, Elias set out to approach the craft of charcuterie with purity and patience, recreating a nearly extinct old world technique that’s seldom seen in America. 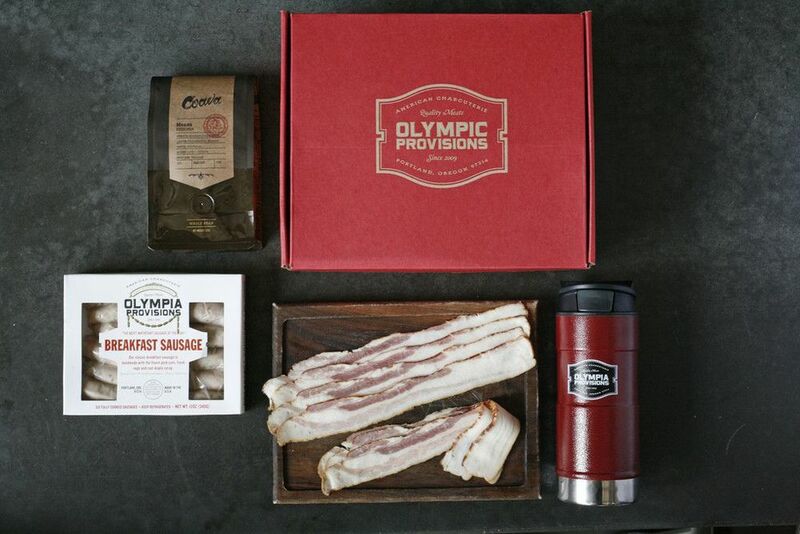 Cairo has plans to put Portland on the artisanal meat map with his Olympia Provisions store, 2 restaurants, and online shop which provides a new Twist on Old-Country Tastes. Check out "Salami of the Month Club," which allows members to sample one variety of its 12 salamis each month. Olympia Provisions is a USDA approved charcuterie shop in Portland, Oregon. The focus right now is all things pork! They butcher, cure, ferment, stuff, dry, cook and smoke almost every cut of the venerable pig. Shop the online store for a nice selection of goods starting at $10. Here's two of the many offerings you will find available online. PIPCORN OFFERS Truffle, Sea Salt, Kettle and Rosemary. Recently on Shark Tank. PipCorn – Who knew popcorn needed a mini version? Pipcorn’s ever-so-subtle flavors range from savory to sweet, including sea salt, rosemary, gingerbread, & kettle. 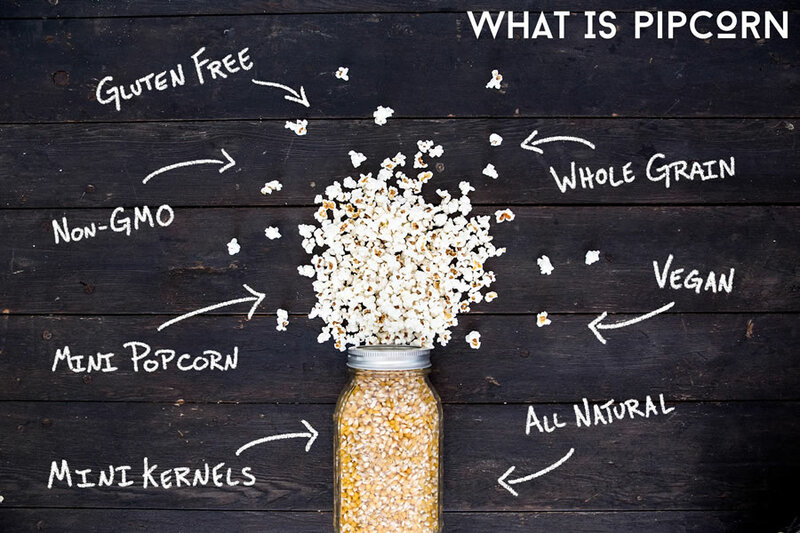 Pipcorn was founded by Jeff & Jen Martin, a dynamic brother and sister team and were recently on Shark Tank. Barbara Corcoran funded the duo and they are expecting to grow dramatically in 2016. See the story here You can order online while waiting til Pipcorn arrives at your neighborhood store. Barbara Corcoran with Pipsnacks founders. Chef Daniel Holzman from The Meatball Shop in New York City shows us how to make chicken parmesan and the perfect meatball. He also shows us how to cut garlic. Now that we have had time to go through some of the Salted tutorials, it's true you really do learn best from experts. The Salted Chefs patiently take you through the steps to culinary delights. They include their signature dishes for you to make yourself - good way to look like a professional to family and friends. Even meals that seem complicated to try are presented in a matter of fact way that allows you to successfully make them. Some of our favorites are from Daniel Holzman, Chef at The Meatball Shop. He takes us through a meatball, garlic cutting lesson, and our favorite, chicken parmesan. Daniel also shows you how to make the best meatball - see the recipe and instructions below. So simple after you watch the lesson, you can't wait to try it. with Watts Up Rosé. On Sale for $60/6 bottles – awesome! 1. Combine the ground beef, eggs, and salt in a bowl. 2. Add the bread crumbs, chili flakes, fennel seeds, parsley, and oregano. 3. Add the ricotta cheese. 4. Mix the meat mixture with both hands. 5. Line a baking sheet with parchment paper or lightly coat it with oil. taste to make sure the meat is seasoned properly. Adjust seasoning as necessary. similar size, about two ounces. 8. After the meat has been portioned out, form the meatballs by rolling them between both hands. People looking to be health-centered and stay fit, new mothers, and those looking to reduce sugar intake and stay healthy will love Koa® . What is Koa? A mix of 12 different fruits and vegetables, the beverage is fresh pressed from each piece of produce and doesn’t add any preservatives or sweeteners. Koa is organic water, squeezed from fresh fruits and vegetables, which retains its natural goodness. Koa keeps the naturally occurring vitamins and minerals without any additives or calories. The best part? Koa tastes just like pure, refreshing water, with a hint of mint and citrus because that’s exactly what it is – water from nature itself, a natural beverage. No calories, no carbs, no sugar, no bad stuff, just Koa. Koa is also available in a raspberry flavor that is a light-tasting product with a lack of added acid, which you’ll find in most flavored waters. The raspberry product is extremely smooth and fresh tasting. You can find Koa at the Ritz Carlton, Four Seasons hotels, and Dean & Deluca grocery stores, as well as retailers throughout Texas and California. Koa has signed a distributor agreement with Gourmet Guru bringing Koa to the North East and Mid-Atlantic regions, from Maine to New Jersey. Koa draws its name from the Hawaiian word for “Healthy” People looking to be health-centered and stay fit, new mothers, and those looking to reduce sugar intake and stay healthy will love Koa. No calories, no carbs, no sugar, no bad stuff, just Koa. New to the kitchen or fancy yourself as an aspiring chef, take your culinary desires and appetite to the next degree with a subscription to Salted. 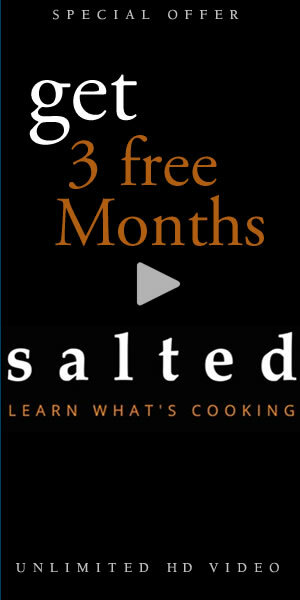 Brought to you from Jeff Appelbaum and 50+ top working chefs, Salted has over 200 videos designed to provide a culinary education to a casual home cook or an aspiring culinary student. 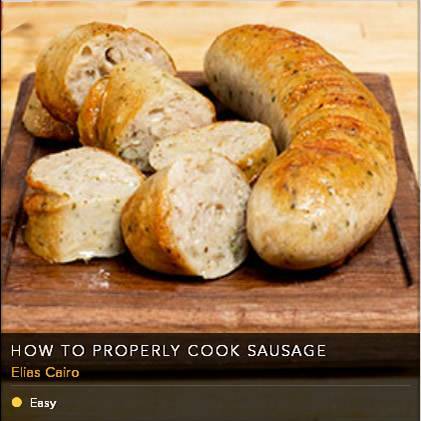 The inspiration behind Salted is to provide a proper culinary education. Salted is offering a world-class courses in all things culinary for $9.95/month with unlimited access to hundreds of step-by-step videos, covering everything; all the recipes, pro-techniques and great cooking tips. Salted looks to rival the top tier culinary schools like Le Cordon Bleu or L’Academie de Cuisine, or the local Johnson & Wales, but from the convenience of your own kitchen. You get a $50k cooking education for Netflix prices. Its different than what other online sites provide, you get real culinary educational content provided by the top chefs, all who are currently working in restaurant kitchens. The best part, you can interact with the chefs by submitting questions about specific videos. The actual chef will answer, because Salted and its chefs, are looking to build long-term relationships with their students. You learn expert skills, tips, and how to create their signature (fantastic) dishes from the best chefs in the country including Roy Choi, Jason Travi, Eric Greenspan, Daniel Holzman, Jonathan Benno and more. You can save your favorite recipes to your online cookbook for easy access, a nice personal touch. There is free content available on Saltedtv.com so you can try out the videos and searchable recipes before you join. Currently, you can sign up for 3 free months with an exclusive WHATSINTODAY 3 month trial. We love the cocktail presentations – so much fun to make cocktails professionally. For example, you can watch Nick Vitulli from The Famous bar in Los Angeles make a FRENCH 75 , which is a very traditional, classic drink invented in 1915 in Paris. As the current head barman for The Famous, Nick offers up an extensive selection of whiskeys as well as a cocktail menu featuring artisanal spirits. In 2013, The Famous was named one of the best bars in America by Details magazine. Another great thing about Salted are the video interviews with each chef. The Meatball Shop, the brainchild of Daniel and his childhood pal Michael Chernow, has taken NYC by storm, now with several locations around the city. Many New Yorkers will swear that there’s simply no better meatball than what comes out of Daniel’s kitchen. Anthony Bourdain and his favorite co-author Laurie Woolever are writing a new cookbook, Appetites. Appetites will be focused on home cooking and entertainment. Anthony Bourdain is a celebrity chef, world traveler, bestselling author, and host of several television shows, including Parts unknown on CNN. We can’t wait to get the book and tryout recipes on family and friends. Our pre-order is just a click away. The publisher promises gorgeous photography to go along with the witty writing. Anthony’s last cookbook, Anthony Bourdain’s Les Halles Cookbook: Strategies, Recipes, and Techniques of Classic Bistro Cooking, covered recipes from his years serving some of the best French brasserie food in New York. With its no-nonsense, down-to-earth atmosphere, Les Halles matched Bourdain’s style perfectly: a restaurant where you could dress down, talk loudly, drink a little too much wine, and have a good time with friends. In the cookbook, Bourdain gave us a cookbook like no other: candid, funny, audacious, full of his signature charm and bravado. The new book should be amusing – check out Anthony’s writing style in even the most mundane recipe. Stage One: Season the meat with salt and pepper. In a Dutch oven, heat the oil over high heat until it is almost smoking. 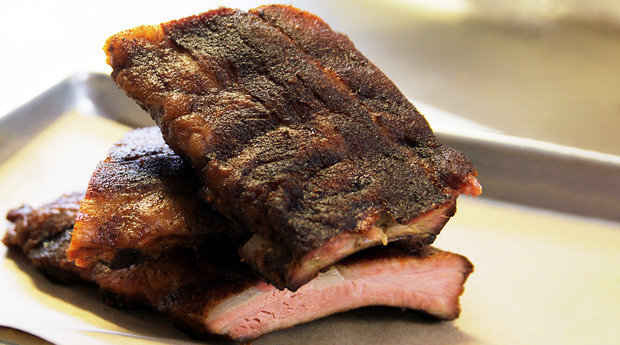 Add the meat in batches — NOT ALL AT ONCE! — and sear on all sides until it is well browned (not gray). You dump too much meat in the pot at the same time and you’ll overcrowd it; cool the thing down and you won’t get good color. Sear the meat a little at a time, removing it and setting it aside as it finishes. When all the meat is a nice, dark brown color and has been set aside, add the onions to the pot. Lower the heat to medium high until the onions are soft and golden brown (about 10 minutes). Sprinkle the flour over them. Continue to cook for about 4 to 5 minutes, stirring occasionally, then add the red wine. Naturally, you want to scrape up all that really good fond from the bottom of the pot with your wooden spoon. Bring the wine to a boil. Stage Two: Return the meat to the pot and add the carrots, garlic and bouquet garni. Add just enough water (and two big spoons of demi-glace, if you have it) so that the liquid covers the meat by one-third — meaning you want a ratio of 3 parts liquid to 2 parts meat. This is a stew, so you want plenty of liquid even after it cooks down and reduces. Bring to a boil, reduce to a gentle simmer, and let cook for about 2 hours, or until the meat is tender (break-apart-with-a-fork tender). You should pay attention to the dish, meaning to check it every 15 to 20 minutes, stirring and scraping the bottom of the pot to make sure the meat is not sticking or, God forbid, scorching. You should also skim off any foam or scum or oil collecting on the surface, using a large spoon or ladle. When done, remove and discard the bouquet garni, add the chopped parsley to the pot, and serve. The ability to slice and shred a range of vegetables into ribbons is possible with a peeler, but it is much easier with the new spiralizer kitchen gadget. Originating in Japan, this gadget is starting to become really popular, creating healthy curls of vegetable and fruit noodles for quick, satisfying healthy meals. You can use Zucchini, cucumbers, potatoes, apples and pears for example. One of the highest rated spiralizers is from Paderno World Cuisine. The older model with three blades works better – you can buy it from Amazon and it qualifies for Prime shipping. The slicer is an easy-to-use, handy tool that makes zucchini spaghetti, cucumber ribbon strands, curly fries or long, spiral apple strands. One of the best and most prolific recipe creators is Ali Muffucci, www.inspiralized.com. She has so many recipes to try – you will find something to love. She has even written a Recipe Book. Ali also makes her own Inspiralizer that she added extra features to from her kitchen experiences that include a knob to change the blades, a smaller center coring blade and extra suction for holding the machine to the counter. Try this awesome Chicken and Zucchini Recipe – easy to make, great to eat. Place a pot/saucepan over medium heat and add in the olive oil. Once the oil heats, add in the chicken. Season with salt, pepper and garlic powder. Cook for 3 minutes and then flip over, cooking another 3-5 minutes or until chicken is cooked through and no longer pink on the inside. Then, add in the garlic and onions and cook for 2-3 minutes or until onions start to soften and become translucent. Then, add in the canned tomatoes and roughly crush the tomatoes with a potato masher or the back of a fork. Bring to a boil and then reduce heat and simmer. Season with salt and pepper and let cook for 5 minutes, add in the basil and cook for another 5-10 minutes or until most of the liquid has evaporated and it is thicker, suitable for cooking with zucchini noodles. Add in the zucchini noodles and toss for 2-3 minutes or until noodles are al dente. Like the plates? You can buy them at Pier One Imports -the Blue Trellis did sell out but many new patterns available. 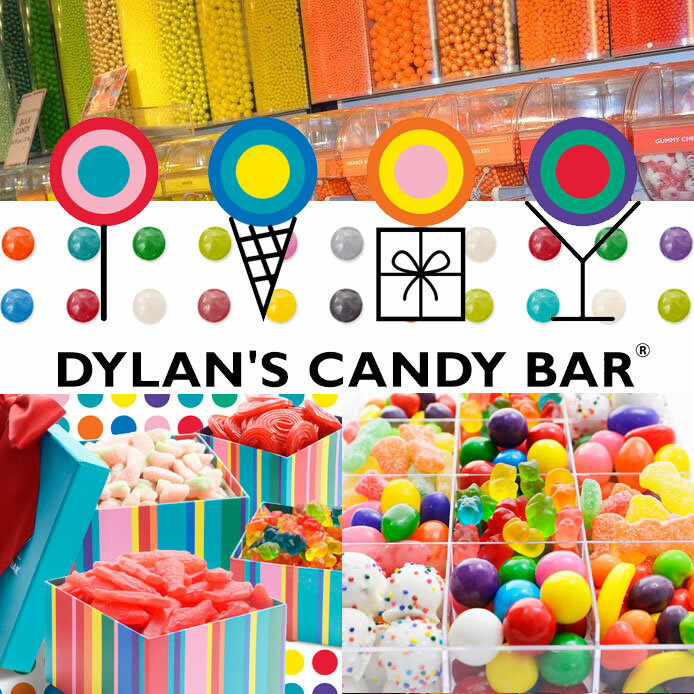 Dylan’s Candy Bar probably has the largest selection of candy in the city. You can buy almost anything here including sweet tasting drinks. The colors and candy themed walls and furniture will make you smile. If you’ve never been, make it a point to go once (though you’ll probably end up going multiple times). No matter who you are: tourist, New Yorker, tourist pretending to be a New Yorker, you cannot resist the giant Hershey store. They give you free chocolate when you walk in. Free chocolate! What more could you ask for? With bags filled with more chocolate than anyone thought imaginable and all of the cute teddy bears with chocolate names stamped on them, how could you not love this place? From classic candies to candies you could never think of on your own, the Economy Candy shop is the place to be! Here you’ll find everything from sour belts to Pop Rocks to candies from the 80s you never thought you would see again. They also just happen to sell the largest Hershey’s Bar ever (5 lbs!!). If you’re looking for a candy that particularly hard to find or just want to go crazy and buy as much candy as possible this is the place! This place sells both chocolate and ice cream! They have chocolate bars lining the walls, iced hot chocolate, brownies, cookies, and truffles! This place is small, but don’t let that deter you. If chocolate is what you’re after, head here immediately! Not resting on her success Martha Stewart Café™ opens at 601 West 26th Street. Featured pastries will also be served at the Cafe, and have been hand-selected by Martha from her favorite bakeries, restaurants, and chefs. ChikaLicious, Baked, Bien Cuit, Balthazar, and more will provide selections that will vary daily. The Martha Stewart Cafe draws its menu inspiration from the artisanal cafes of Europe. An interesting addtion to try when visiting NYC’s High Line district, open Monday through Friday from 7 a.m. to 4 p.m.
HiCAF® Toasted Coconut: Robust black tea with the tropical flavor of coconut. Try with a splash of milk. HiCAF® Pom-berry: Fine black tea with pomegranate and blueberry flavors. Perfect energy. HiCAF® Cinnamon Toast: black tea with swirls of cinnamon and sugar. Extra satisfying with a splash of milk. Pre-heat oven to 400 degrees. Line up graham crackers on a cookie sheet, top with chocolate and then marshmallow. Bake until the marshmallows are puffed and golden brown, about 3 to 5 minutes. Remove from the oven and top with the remaining graham crackers, pressing down slightly to make a sandwich. Serve while still warm. Ticket Chocolate, San Francisco has put together the perfect combination of the best graham crackers, vanilla bean marshmallows and handcrafted chocolate. Ticket creates chocolate that’s worth lingering over. The graham crackers are so awesome on their own, its hard to not just eat the ingredients out of the box.